2008 RANGER Z520 FOR SALE!!! 2008 RANGER Z520 FOR IMMEDIATE SALE! 2008 Ranger Z520 pro staff boat for sale! [FINANCING AVAILABLE TO QUALIFIED APPLICANTS!!] With all of the extra's this boat has, new boat would sell in the HIGH 50'S! Boat is in immaculate condition. Has been kept inside. Powered by the Evinrude ETEC2 250HO. 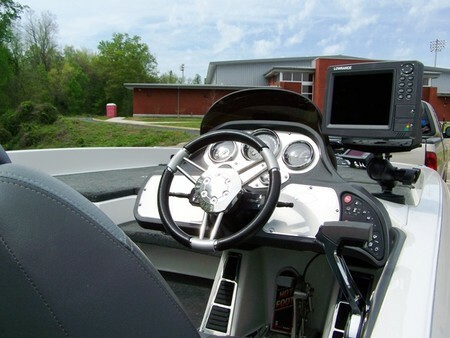 Accessories include: Hamby keel protector, Hot Foot, 8" hydraulic jack-plate, Remote oil fill, Keyless ignition, Dual control trim lever, (2)Lowrance LCX-38HD's, MTRGD TR-109 36v trolling motor, Recessed foot control, and 4 bank Pro charger. Contact Ben at 334-612-9166 or email ben@RiverRegionFishing.com WILL DELIVER!! !